Our company? Company Outdoor Development Ltd specializes on winter projects, company events or movie production. Our team of lectures and partners is honored by the highest licenses and certifications in particular areas, experienced from all corners of the world. Our product? Our winter activities can be segmented in four areas. Nevertheless all projects and events take advantages mainly from complex offers and packages supported by all winter experiences. Movie production is specialized on advertisements, promotion and winter theme education. On Czech market we present the edification and educational movies filmed abroad. We support Czech sportsmen. First of all we seek to build up perfect background for achieving the best results. Our specialization is alpine skiing, one of our best representative is Katerina Paulathova. Winter events demand experiences, knowledge and flexibility for unpredictable situations. We always plan in advance to avoid possible complications. One of our most important focus is safety of our activities and clients. Therefore we take advantages from our project Safe Mountains. Our specialization in sport management is for alpine skiing. In 2011 we expanded also in other winter disciplines. Throughout the winter we organize several great public events. 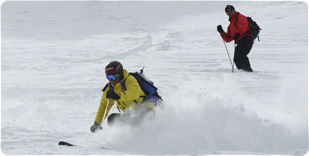 More information you find on Safe Mountains project or Czech ski test. Special camps are organized by professionals and experienced lectures. Company events are always co-operated and formed by client´s expectations. To guarantee necessary snow conditions we mostly organize the events in Alps. These events we suggest to realize for more than 1 day. The program consists of many ski or snowboard activities or “snow” disciplines. General priority is always safety of our participants therefore we implement some educational modules. It is very important to understand that not every great skier can be great ski teacher. “To ski” is not “to teach skiing” that is why we highly focus on the quality of our lessons. We only employ instructors with the highest certifications and we also organize own educational courses. Lessons we offer can be organized all over the world and in any language. 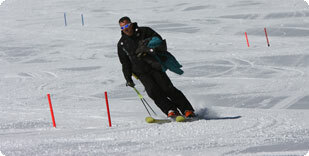 For many years we organize school ski courses in Italy, private lessons for groups or private individual programs. We also implement our own methodic. For the courses we use modern materials and principles and we always care about client´s safety. We know most of the Alps resorts so we can recommend you the best area for your improving your skills. Our specialization in this area is private lessons in Switzerland, company events and projects in Austria and winter school programs and courses in Italy. 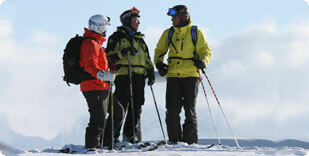 The instructors team operates in all European languages and in all resorts of Alps. Own demand and needs forced us to start with the winter movie production to ensure the high quality output. After the success of our first movie Safe slopes on many festivals, above all FICTS finals in Milan, we decided to set up the unique team for complex production. We also appreciated many worldwide references. In this area we only specialize for winter themes, winter sports and winter surrounding in general. Our team consists of professional cameramen with “snow” experiences, racing or instructor’s team and also postproduction editors. You can find some of our well known movies in Safe Mountains project or several foreign advertisements for winter clothing or winter resorts.